This is our favourite steakhouse in the area. Until we work out the real name it will have to remain Nasu steakhouse. 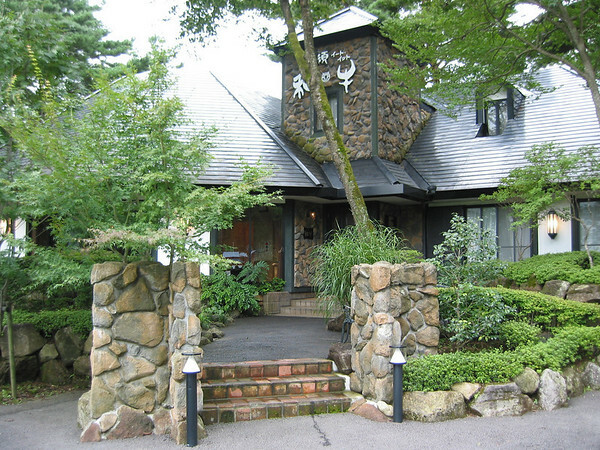 Its a good place to have a special lunch on a trip to Nasu. As far as we can tell the only choice is steak here. The cheapest one is 3000 yen. The most expensive is up in the 20,000 yen range I think (its Otawara beef). We have had the 3000 yen one and more recently the 5000 yen one. I remember thinking the 3000 yen one wasn't a "real steak". The 5000 yen one felt like a "steak" but maybe we have just been in Japan for too long now. Anyway, the food is great. You get a set meal which includes a tiny plate of roast pork, a bowl of consome soup, a salad, the steak, rice cooked in the steak skillet, ice cream and a coffee. Its all very good. In the 6 months between visits the menu hadn't changed that we noticed. We were asked not to take photos of the food so won't show food shots here. Photos of us eating are OK though, this is Roast Pork. The dining area is quite small (though they told us there was a second room). So you order in a small waiting room, move to the dining room as the first course is about to arrive and are moved to another room to drink your coffee. But the atmosphere is very nice and they don't hurry you at all. Harmony Hall seems a bit out of place in Tochigi. Its a nice performing arts building with a fairly decent program. Its well worth checking out if you live in the area. We just went to see the Tokyo Philharmonic Orchestra. Upcoming program includes the Kodo Japanese drum group, a bunch of interesting sounding classical events including some foreign visitors and lots of more local things like the local nature societies photo display. We normally think of Nasushiobara as being a real farmer town. Nobody dresses up for anything. But when we went to Harmony Hall to see the Tokyo Philharmonic Orchestra plenty of people had put on their dress up clothes and it felt (just a little bit) like we were in Tokyo for a second. At least with our horrible Japanese its hard to make much sense of the website. Even the Google translated one. So I'd recommend just dropping by one time and you can get a pretty good idea of whats coming up. Or shooting me an email and I can tell you whats on the way. The hall is a very stylish concrete building. It seems to me have been very badly designed for actually getting people in and out. So we seem be getting off theme a bit with the whole Tochigi thing. 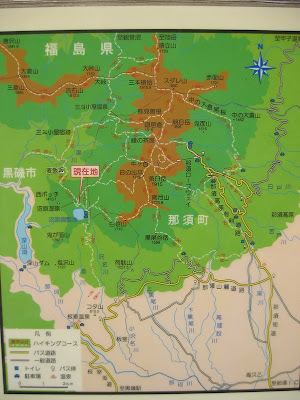 But the blog is really intended to help people who live in or who are going to Tochigi. Many of those will climb Mt. Fuji. And what an experience they are in for! 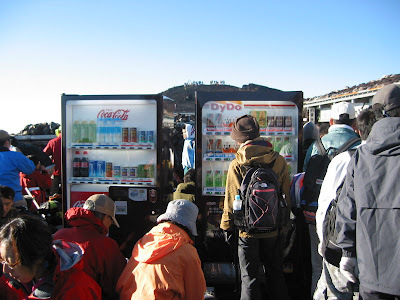 Most Japanese consider Mt. 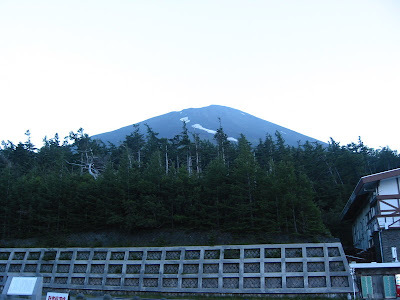 Fuji to be a mountain you must climb once in your lifetime. 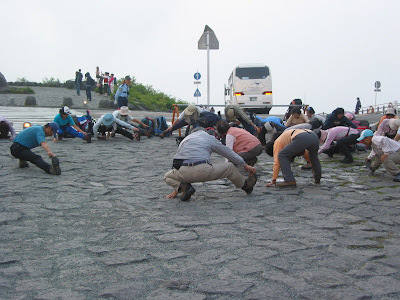 And I guess most foreigners would like to climb it while there are here too. Mt. 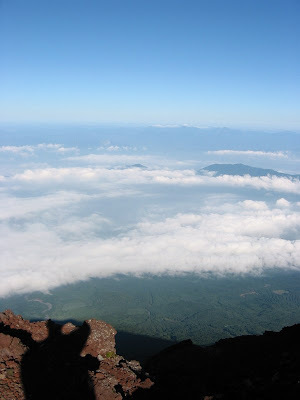 Fuji is a volcanic crater. It most recently erupted in 1707. Its 3776 m. high. 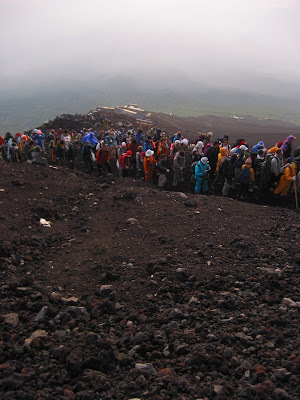 Most people start the walk from station 5 at about 2300 m.
The recommend time to climb Mt. Fuji is July or August. At this time there will be little or no snow and it won't get too cold at the top. Even so, expect it to be chilly. It can get down to close to 0 Celsius at the top, even though it will be quite warm when you start. The Japanese will be insanely well prepared for the trip (well the ones we know were). In our local outdoor shop there is a whole section devoted not to climbing mountains, but to climbing Mt. Fuji. That way you can get special socks perfectly suited to the task. Nearly everybody will have spray cans of oxygen. We didn't take any. We did what most people do and took a bus to station 5 arriving in the late afternoon. 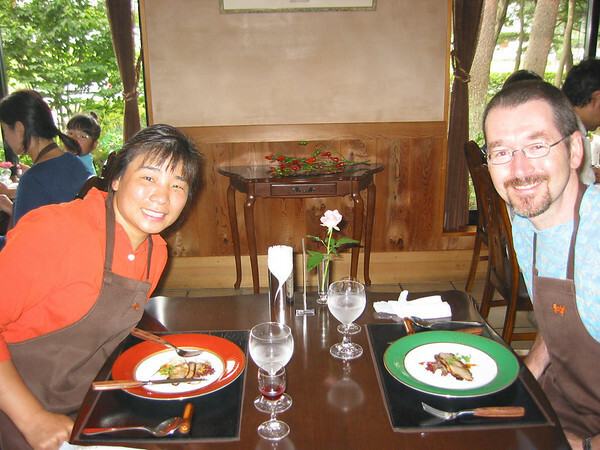 Our friends had arranged to have a meal there and also have a short rest to adjust to the altitude. Frankly speaking we weren't too concerned about the walk except that I am not sure we have ever started at sea level and climbed to 3700 m. all in the space of half a day. So we did think that the only issue might be altitude. Anyway as it got dark we started walking. Its a fairly long walk. I think most could make it without prior training. But it will be hard slog. A walking stick and a torch would be handy. We almost had a full moon and there were lots of people and I got by with neither. 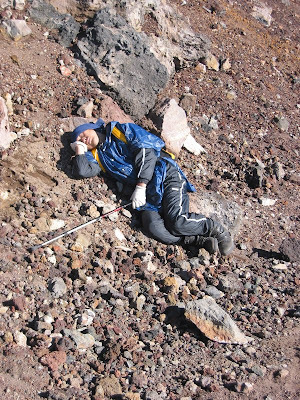 Maybe you have done quite a bit of walking in the past and think you know every possible aspect of a mountain climb. But you won't be prepared for the crowds. 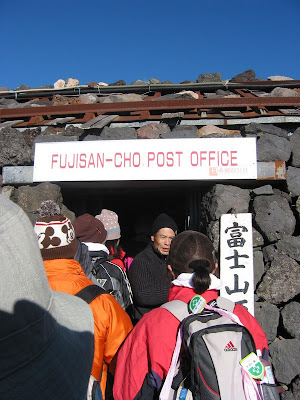 Imagine Tokyo station, put it on the side of a mountain and put everybody in boots. Thats what its like. We went on a Friday, maybe it would be better to do it truly midweek, I don't know. But if I ever do it again, I'm doing it in shoulder season, not peak season. Once you get to the top you can watch the sunrise, though we didn't make it in time due to crowds. The sunrise was quite beautiful. 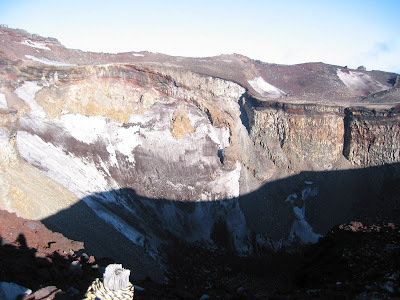 Then there is a walk around the crater which you can skip if you like. On the rim walk you go past the post office. You might want to bring some postcards to post from there. There was a queue when I posted ours. It was nearly down to zero on top. So go well equipped. I brought shorts and T-shirt, fibre jacket and pants, a raincoat, gloves and warm hat. I was very comfortable the whole time. If I had of had them in Japan I would have brought waterproof overpants. I would have worn them I think. The walk down was harder than the walk up for us. We ignored the advice to bring a towel. My advice now, bring one! Or perhaps better a facemask. On the way down there is lots of red dust that will be kicked up and you will get it all over you and breath it in too. Also on the way down the sun got quite strong. Don't forget your hat and sunscreen. Our friends had arranged a stop at an onsen on the way back. This is highly, highly recommended. Akihabara or Akihabara Electric Town is the area in Tokyo for electronics. Its especially great for computers. The prices are pretty reasonable. It, arguably, beats Guang Hua in Taipei, Golden Market in Hong Kong or Sim Lim in Singapore for computer part selection. There are broadly 3 parts (that we found). 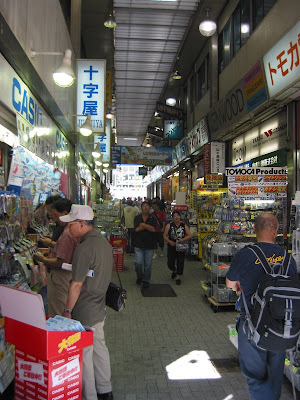 There is the street area that has lots of little (and some not so little) shops, many of them with price lists outside. The variety is better than most asian PC markets (imho). I found a store specialized in embedded stuff. It had a huge range of Via mini motherboards and associated parts. Then there is the giant Yodabashi Camera Store. I suppose it was once a camera store. Now it sells anything with power socket. The camera selection is great and if you want to try out all the different cameras to see how they feel then this is the place. Basically you can find pretty much anything in there. And finally there is the undercover area which is like a rabbit warren of little stalls selling all manner of electronics stuff. 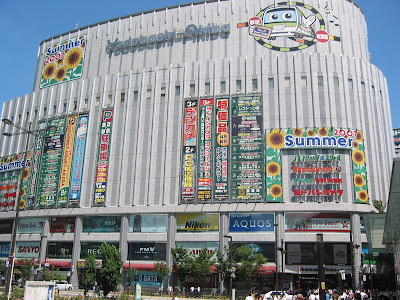 If you have any interest in electronics stuff then Akakihaba is worth a look. And if you live in Tochigi and are sick of the, overpriced and limited range of PC stuff here then definitely pay it a visit. 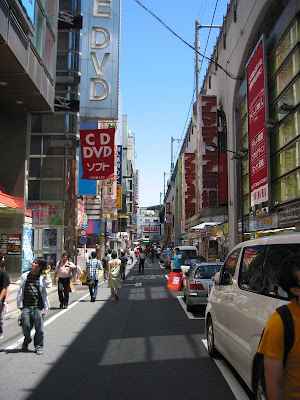 The best way to get there is to take the JR Yamanote Line from Tokyo station to Akihabara. Its just a couple of stops. From the platform take the escalators down (not up) and you will be pretty much in the thick of it. (for the camera store take the up escalator). House got struck by lightning last night. Tochigi lightning seems to work like elsewhere. Everything is broken. In the middle of summer holidays. Please bear with my incomplete previous post and sparse updates until I get this sorted. Me thinks holidays, our terrible Japanese and probably widespread damage in the area will make this a slow process. Wish us luck. This is a nice area for walking in Spring/Summer. 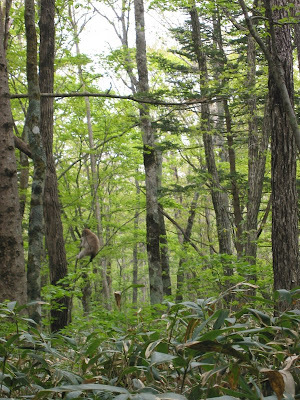 Its part of the whole Nasu walking trail network so you could easily walk in from Nasu too. There are picnic tables at the parking area. For a short walk you can just walk around the ponds there. 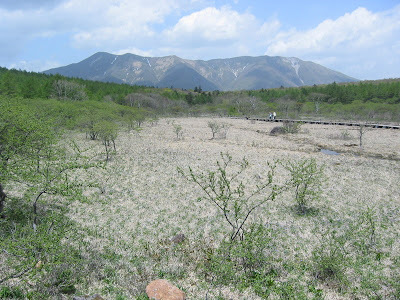 Its kind of a flat marshland area. Its quite unique and beautiful. Then there are a lot of longer walks you can do from there too. Please note the monkey in the above shot. 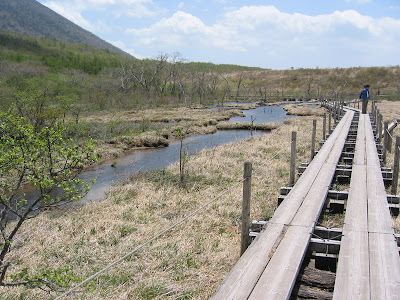 There is even a hot spring not too far away that we have not investigated yet. Finding the turnoff can be a bit tricky. I'd suggest you closely study the google map linked above. If you zoom in you can see the kanji for the lake and adjacent green area. They are signposted from the turnoff on route 266 but not easy to see and even our Japanese friends missed it twice. I'd like to hear from people who have walked extensively in this area. Seems like there are lots of possibilities. 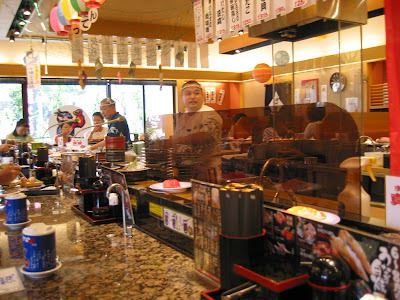 This is a pretty good conveyor belt Sushi restaurant. 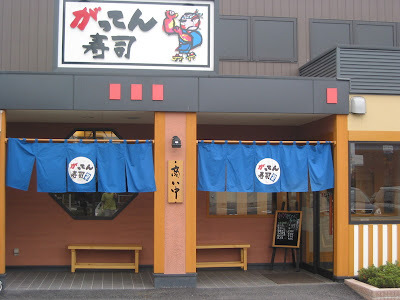 Its one of our favorite local restaurants. The food is good and not expensive, but the number one feature of this restaurant is the extreme enthusiasm of the staff. Of course sushi chefs are always exuberant, but these guys take it to a new high. The sushi is good. We always end up ordering most of our food directly from the chefs rather than taking it from the train.